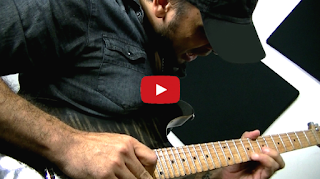 http://www.dallton.com Guitar solo I Song "Acquired Impression" by brazilian guitarist Dallton Santos. From Instrumental Studio Album THE INNER THINGS (2015). Genre: Fusion Rock Watch New Album all videos playlist: http://bit.ly/dallton_santos_TIT_video_playlist Find the new album at: Itunes http://bit.ly/dallton_santos_TIT_itunes Amazon http://bit.ly/dallton_santos_TIT_amazon Recieve by email the latest guitar videos, learn solos, riffs, song tutorials, guitar licks and more JOIN NOW : http://goo.gl/w7ROV Follow guitar player Dallton Santos on Facebook: http://www.facebook.com/DalltonSantos Guitar gear, guitar practice routine, short guitar videos, news, gigs shots and more: Instagram @Dallton_Santos http://twitter.com/DalltonSantos Thanks for watching! Share, Rate, Subscribe and Favorite. Guitar https://youtu.be/CZUm2PY6eWk Solo I Guitar is life! Cheers!